Arbtech can provide a number of newt surveys including a walkover survey, otherwise known as a habitat suitability index, a phase 2 survey (also know as a population or trapping survey) and even eDNA surveys. No matter what kind of newt survey you need, we do everything we can to find out if you actually need one before we provide you with a quote. This is done by talking to you about your site and gathering enough information to determine if a survey should be necessary. Providing us with a site plan and telling us in your own words about your site is normally enough to give us a good idea. We may also make use of arial photography to help us gather as much information on your site as we can before sending a quote out. Many times, our clients have already been told that they need a newt survey. If this is the case, we can provide the survey very quickly. We pride ourselves on speed and efficiency and our ecological consultants are experienced in carrying out habitat surveys for great crested newts. Why Have I Been Asked For a Newt Survey? Good question. Conducting a newt survey may not have been part of your plan during you project, and you may have lots of questions about what is required. We’ll do our best to let you know everything you need to know so that you don’t get any nasty surprises during your project. Great crested newts are a European protected species which means that newts, their eggs and their habitat is protected by law. This means that any plans you have which may disturb or endanger newts needs to be done in accordance to the law. Some of the activities that can put developers in breach of the law are capturing or killing great crested newts, damaging breeding sites and stopping newts from having access to their resting places. Building and development work can have a large impact on newts and their habits so it is very important to use an experienced and qualified ecological consultant to help your project to go smoothly and keep you on the right site of the law. This type of survey is done in daylight hours and therefore can be undertaken at any time of year. Prices start from £399. It is a probabilistic assessment, since it is the habitat quality that is being assessed, not the physical presence of the newts themselves. Because it is the habitat that is appraised by our ecologists, and that changes very little in a single year under normal conditions, this type of survey can be done at almost any time of the year. The cliff notes are that your site will be classified as either poor, excellent or somewhere in between. Anything classified as ‘average’ or better will trigger phase 2 great crested newt surveys. Anything classified as below average or poor will not, suggesting instead that the risk of harm to newts at your site, arising from your development plans, is acceptably low – so as to be considered insignificant. The phase 2 survey which can also be referred to as a trapping survey or population survey is conducted at dusk and dawn and has very strict season restrictions – between the months of March and June. It is sometimes required where known populations or high quality habitats are present. Due to the amount of work involved for these kinds of surveys, prices are higher than a scoping survey and typically start from £1699. 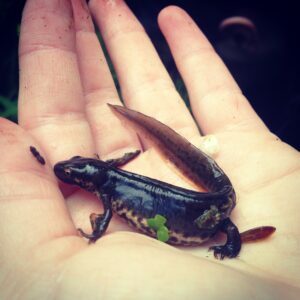 There are several types of phase 2 newt survey, including trapping (in bottles or funnel traps), lamping (searching in the water after dark), by hand searches of terrestrial habitat, egg searches in vegetated ponds, and netting. Each of these involves visiting your site and then reporting back on our findings, in order to design suitable mitigation that your local authority will approve, if newts are actually present at your site. (Hopefully, they wont be). The bad news is, if you’re reading this between late June and early March, you’re going to have to wait a little while before you can get started due to the seasonal restrictions. These seasonal restrictions are in place because you can only undertake phase 2 surveys when the newts are most active (March to June is their breeding season). Furthermore, at least three of your four to six visits required for a defensible planning application need to have taken place between an even tighter window of opportunity: mid-April through mid-May, inclusive. The good news is, once this is done, even if you have great crested newts at your site (smooth and other species of newt don’t present you with a problem), you have all the information you need to sail through planning and if necessary, obtain a licence from Natural England or the Natural Resource Wales. Not that we’ve found any so far this year. It is sometimes possible to determine the presence or absence of great crested newts, by simply taking a sample of the water and sending it off for eDNA analysis, which will dramatically reduce the time it takes to produce your survey and report. Where the habitat quality at your site is good, but your eDNA analysis comes back negative, this could save you from thousands of pounds of costs from carrying out a phase 2 survey and you could save months of delays as well. eDNA analysis is also relatively low-cost. 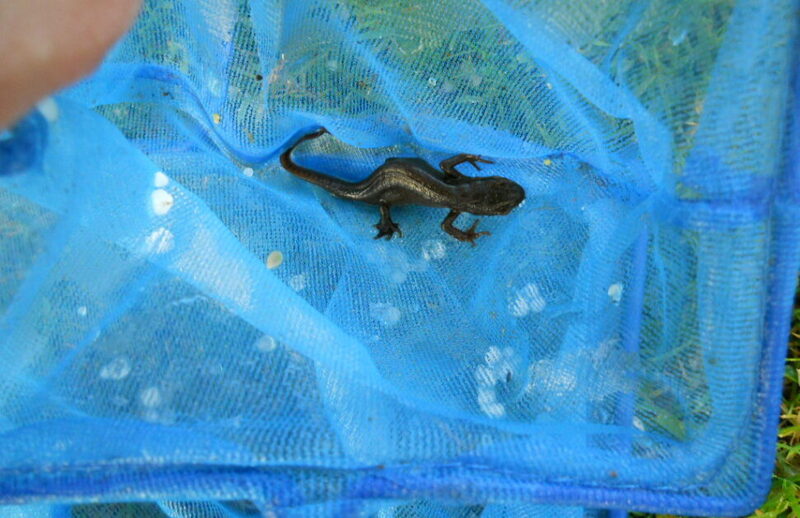 Arbtech have used eDNA detection of newts at a number of sites recently, in both Surrey and Cheshire. In both of these instances, our client saved a considerable amount of time and money by showing that newts were not present without the need for a further survey. 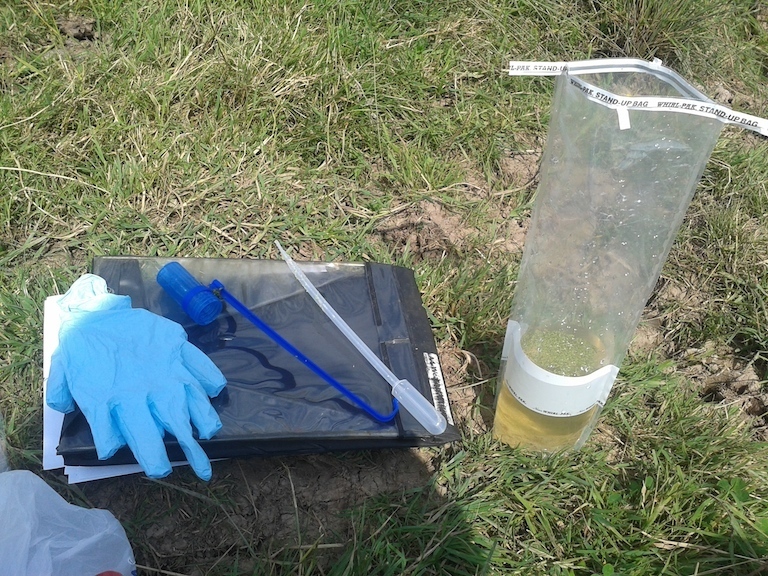 The eDNA testing can still only be used between the month’s of March and June though. This is because it relies upon environmental-DNA evidence left behind in pond-water which is secreted through the newts’ skin during the breeding season. If you have great crested newts at your site, then you will need to offer mitigation under licence, in order for your local planning authority to progress your application and to ensure you aren’t engaging the legislation that protects the newts. This doesn’t have to be very complicated, though there are a range of protocols to follow to secure the consent of your council and the licencing body. The great crested newt (Triturus cristatus) is one of three species of newt native to the UK, and with an estimated breeding population of less than 400,000 they are the rarest of the British newts. They can be found throughout the UK, as well as much of northern Europe – though are less commonly found in the southwest, as well as west Wales and most of Scotland. 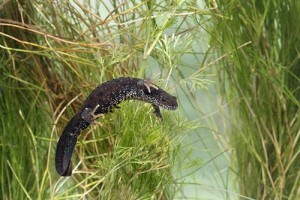 As well as protection through the Wildlife and Countryside Act 1981, and the Habitat Regulations 2010, the great crested newt is listed as a species of principal importance for the conservation of biodiversity in England and Wales under Sections 41 and 42 of the Natural Environment and Rural Communities Act of 2006 (Wilkinson, et al. 2011). Their protection, as with most threatened British species, is linked to an observed decline during the late twentieth century, primarily due to agricultural intensification. Great crested newt surveys (phase 2) consist of four visits to ponds normally up to within 500m of your potential application site. This is extended to six visits (both at dusk and dawn) to increase scientific validity, if preference is detected in the first four. While four of the newt surveys only need to be performed within the season of mid-March and mid-June, provided the water temperatures average above five degrees centigrade, at least two of these visits must be performed between mid-April and mid-May, when the newts are almost guaranteed to be found in their breeding ponds. Newt Survey techniques include trapping them using bottle or funnel traps; dusk torchlight surveys and egg searches in areas of denser, suitable vegetation; and searches of habitat, such as rock piles and grassland. 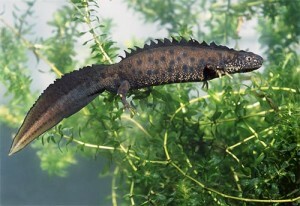 The great crested newt (GCN) is the largest native British newt, growing up to 17 cm long when fully grown. It has a granular skin texture and uses both aquatic and terrestrial habitats. In the terrestrial phase, the great crested newt is dark brown or black over the majority of its body, with a bright yellow or orange stomach pattern. Adult males can be distinguished from females as they have jagged crests running along their bodies. They tend to be found in lowlands and ponds with a neutral to high PH that contain significant amounts of broad-leaved vegetation, few predators (e.g. large fish) and ideally also receive a lot of sunlight. The great crested newt follows a relatively strict annual cycle – governing the newt survey opportunity – that is important for its survival. The courtship and breeding season follows winter dormancy, during which time the adult newts mature the eggs and sperm they will need for the next year (Langton, et al., 2001). Adult great crested newts normally begin moving from their over-wintering land sites between February and April to their chosen pond. This type of migration movement can be referred to as ‘programmed movements’; that is, they occur at predictable times of the year and is an important characteristic of the GCN lifestyle and mating cycle – in this case; a reaction to seasonal environmental change (Collard, 2003). The programmed movement is encouraged by a number of factors, most importantly temperature and rainfall. Great crested newts are ectotherms, in that they rely on external heat sources to raise their body temperatures to a level that permits activity (English Nature, 2001). Usually Great-Crested newts first emerge at night when conditions are wet or damp, with air temperatures of at least 5°C. They ensure that the temperatures prior to their emergence have been similar for several days, this is a survival technique as it prohibits the newts emerging too early by unseasonably warm weather that could be followed by freezing conditions. Emerging at night is also a sensible choice as it reduces the risk of predators and dehydration! GCN require water bodies to reproduce effectively, April and May are important months as this is when the newts mate; these are their best breeding months. Female great crested newts lay (potentially) hundreds of eggs amongst the vegetation of the pond. At the very start of the breeding season a female newt may only lay a few eggs a night but in the prime month of April the female can lay 10 or more eggs per night, due to the increase in temperature. Each egg is carefully protected; enclosing them in ‘jelly’ and then individually wrapping the eggs in leaves achieve this. The embryos can take up to 3 weeks to hatch. This time is vital for the survival of the newt as half of GCN larvae die at the tail bud stage; it then takes a further 2-3 months to complete larval development (English Nature, 2001). Around August the larvae metamorphose (this is the name for the larvae that have completed their development i.e. their transition from larvae to Juvenile newts) begin to emerge from the pond and onto the surrounding land; this will take approximately a further two months, they are then developed enough to hibernate over the winter months. The juveniles hibernate on land during winter until they become fully developed adults when they will then follow their normal annual cycle. Adults often return to the same breeding site, however they may sometimes ‘skip’ a breeding season in order to move to a new pond. Like most male species, the male great crested newt species is highly competitive in attracting the female newts’ attention. During breeding season the male newt performs an elaborate courtship dance in where sexual characteristics are enhanced and reach maximum size to impress the females. Some male newts even mimic females to lure other males away from favoured spots of the pond (Tom Langton, et al. 2001) – clever! All you need to do is give us a call or request a quote by clicking on the ‘Free Quote’ button above. We will ask you for some details about your site so we know what kind of work is involved and then we’ll put a quote together for you. We’ll send the quote via email for you to check over, and if you would like us to carry out your newt survey you can just send us a simple booking form (which we provide). We will then arrange a date for your survey and take it from there. Simple! Arbtech showed huge flexibility in accommodating our need for a quick survey and went out of their way to make sure we hit a critical deadline. Thank you for a great service. Provide us with your contact details and tell us about your project. 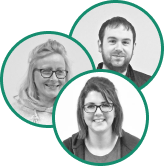 Our client team will send you a quote via email. This is normally sent within 24 hours. You can ask us any questions you have. Review your quote and book it in by sending us a survey booking form which is included with your quote. We do thousands of surveys every year and have lots of great feedback from clients all over the UK.